The main thing to remember when entering the world of professional blogging is that you are being paid to write. 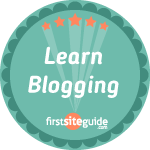 This is what elevates your blogs from the amateur level to the professional. You might be a brilliant blogger in you free time but to do it professionally, which you can do, you need to pay a whole new level of attention to every word you write. • If you are blogging from an office then this is already done. • If you blog from home then find a setup which works for you, away from distractions and home comforts, and work as if your boss is in the next room. • Having a different geography will also put you in a different frame of mind and allow you to work in a different and hopefully more productive and professional way. • The general word processing abilities of your device. If you are in any doubt as to the reliability or just ability of any of these things then sort them out before you begin blogging. Websites like SaveOnLaptops can offer you great deals on reliable machines which are essential for blogging. Any combination of circumstances, affected by one of these factors, could lead you to losing your work and therefore being unable to claim any pay for it. This leads to another point which should be obvious; always back up your work! Check and re-check all of your work. If you are expecting to be given money for what you have written then the least you can do is run a cursory spell check. However, a manual spell check is probably much more effective. You would be surprised how many spelling and grammar errors manage to slip through the net of automatic spell checkers. You need to have a readable writing style but also one with a level of sophistication. Treading the line between colloquialism and academia is something which makes blogging different to every other type of writing work. Find your place on the line and you’re home and dry. This is the most important piece of advice of all of them because it is usually the reader who dictates the content and style before they’ve even read it. If you know your blog will be read by like-minded people to yourself then you will probably need to alter very little. However, it is often the case that you will be blogging about something that you are not as passionate about as your reader might be. In situations like this, you need to find the passion for it. No one wants to read a blog from someone who clearly couldn’t care less. They want to read a blog from someone they can understand and empathize with. For example, you would not write an IT business blog in the same style as a fashion blog. So make the most of blogging and don’t take this excellent opportunity for granted.